A few bits of Star Trek non-fiction books news today, including new previews from the TNG Cats book, and news of new titles in the works. But first, a new cover. Due out in October is David Goodman's third in-universe Star Trek biography (following Kirk and Picard), The Autobiography of Mr Spock. IGN have revealed the cover, which follows the now familiar format of the series - I'm quite surprised they went for the Starfleet emblem over the IDIC. 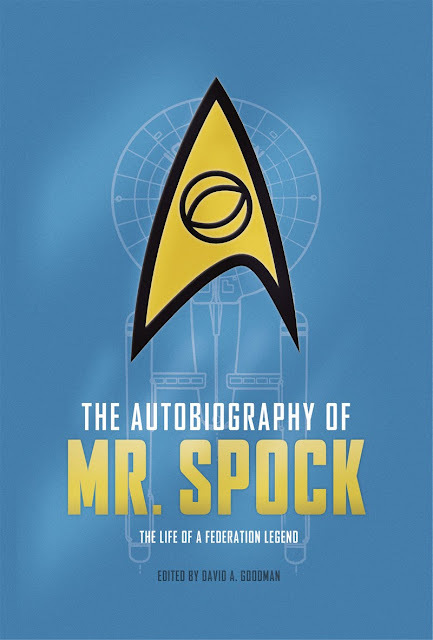 The Autobiography of Mr. Spock tells the story of one of Starfleet's finest officers, and one of the Federation’s most celebrated citizens. Half human and half Vulcan, the book, written in Spock's own words, follows his difficult childhood on the planet Vulcan; his enrollment at Starfleet Academy; his adventures with Captain Kirk and the crew of the Starship Enterprise; his diplomatic triumphs with the Klingons and Romulans; and his death and amazing resurrection on the Genesis Planet. We meet the friends he's made, the women he’s loved, and experience the triumphs and tragedies of a life and career that spanned a century. His struggle to find his place in the universe is one we can all relate to. 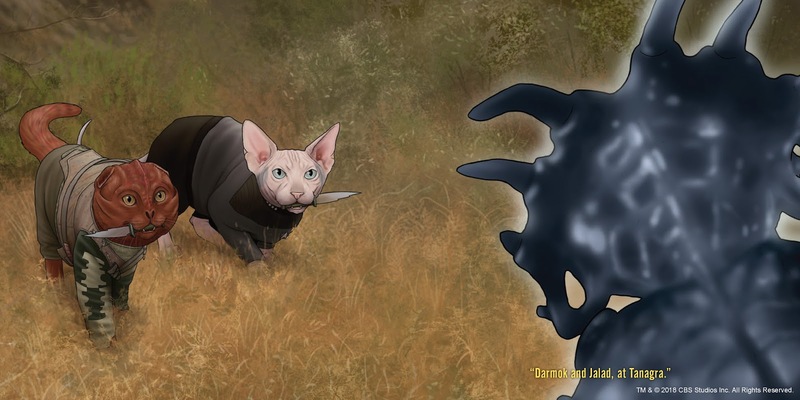 Due out next month from Chronicle Books is Star Trek: The Next Generation Cats, and Nerdist have posted a couple of new preview pages from that book, revealing a feline Locutus, and a four-legged version of Darmok. You can see a few more previews from this book in my previous report. And indeed if you like cat versions of Star Trek, you might want to check over my Star Trek Cats list to see the surprising variety of products based on this series. In other quirky book news, Amazon have added a listing for Star Trek: Locutus of Borg Collectible Mask: With Light and Sound!, the latest novelty gift and mini-book release from Running Press. The book itself is written by Chip Carter. Here's the blurb (no images yet); it's expected to arrive in October. Finally, John Eaves recently revealed (in a now deleted Facebook post), that he is currently working with Titan Books to compile a book exploring his design work on Star Trek; spanning movies, TNG, DS9, Enterprise, the Kelvin timeline, and Discovery! TrekCore reported on it with some of the details that are no longer on Facebook. To stay up to date on all the latest Star Trek book releases, check my 2018 schedule page, and for listings of various book series and author bibliorapies, see Trek Collective Lists.